Groundbreaking companion cropping trials aimed at conserving the environment while improving land productivity have been launched at Reaseheath College in Cheshire. The trials, being held for the first time in the UK, are being run in partnership with machine manufacturer Pottinger, agronomy company Agrovista and seed companies DLF, Germinal and Pioneer. The aim is to find the most viable companion crop, suitable for UK growing conditions, which will establish and maintain quality maize forage. Environmental benefits of an undersown sward include improved soil structure, reduced compaction and better travelling for harvesting machinery. Main crop yield is maintained while the undersown crop can be put to another use or ploughed back as ‘green manure’. Importantly, particularly in low lying areas, the natural vegetation assimilates nutrients and retains them in the soil rather than allowing run-off into water courses. In Phase 1 of the trial, plots of early maturing maize have been undersown simultaneously with different varieties of grass, clover and vetch. Further sowings of vetch, peas and other legumes will be carried out in the second phase of the trial next week. The college’s agriculture students will assist with monitoring the plots alongside agronomists from Agrovista, who are advising on the crop agronomy, seed and chemical choice. There are plans to hold open days for farmers once growth is established. Undersowing grass and legumes under maize is a growing practice in Europe, where farmers on comparatively small mixed units produce a second crop suitable for grazing or game cover, or for direct drilling with cereal. This dual system is particularly popular in areas where high volumes of forage maize are grown for on-farm bio gas production and farmers want to keep within environmental regulations and avoid being left with unproductive maize stubble. 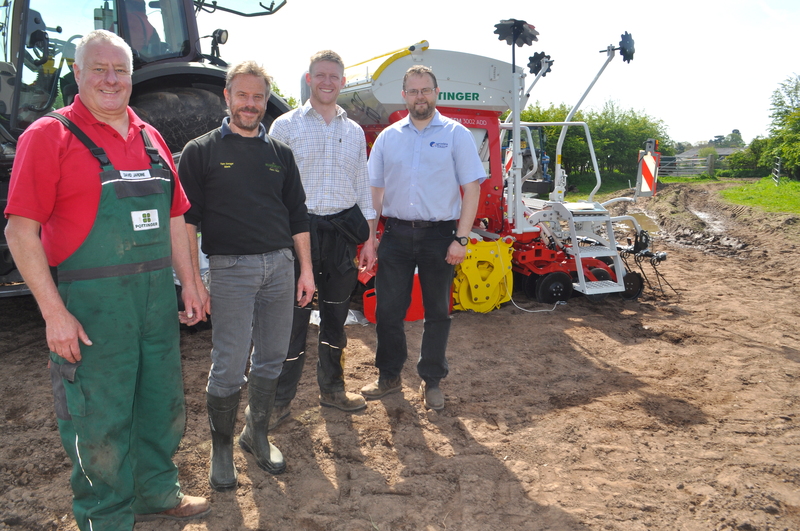 To enable the simultaneous planting of maize and grass in the trial’s first phase, Pottinger used its award winning Pottinger Aerosem 3002 ADD drill which features a Precision Combi Seeding (PCS) system combining a precision maize drill and a conventional pneumatic seed drill on the same three metre unit. 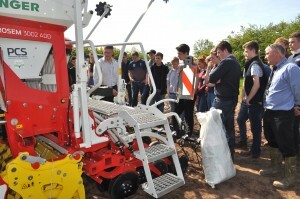 Project team leader is Robert Yardley, a Reaseheath agriculture undergraduate who made the links with Pottinger at Agritechnica in November while he was at the show on a scholarship from the Oxford Farming Conference. Agrovista Agronomist John Ball said: “We are excited at this opportunity to demonstrate cutting-edge companion planting which will have a positive impact on both environmental and farming profitability. Shaun Groom, General Manager of Pottinger UK, emphasised: “We are delighted to be part of these trials, which are a prime example of agricultural companies working together to increase standards of conservation farming while helping farmers optimise cropping. 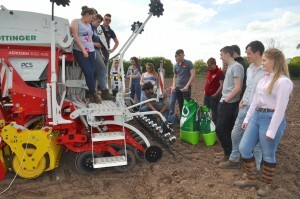 Follow the links for further details of our agriculture and agricultural engineering courses.